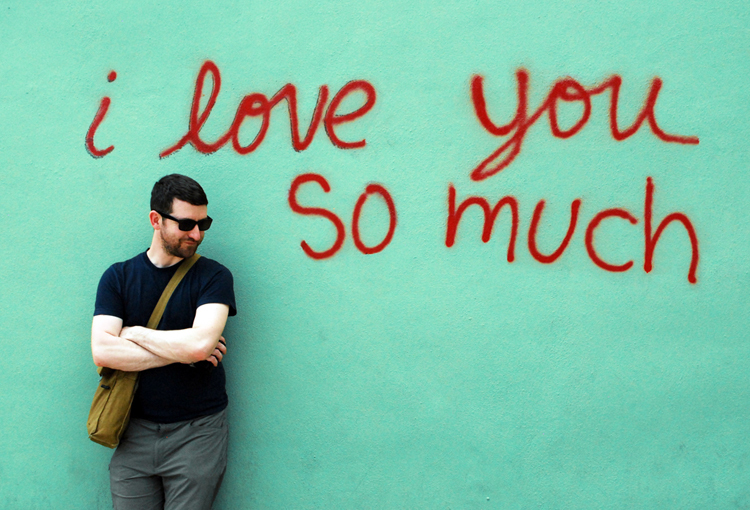 As Austin grows in popularity, we Austinites inevitably have to pay the dues of being in the national and international spotlight: criticism, and often the ruthless kind. Some of you long-time residents might be truly annoyed by certain aspects of ATX (ridiculous traffic, anyone?) and if you’re a noob, well, you probably don’t know what to think of this crazy place yet, and we don’t blame you. 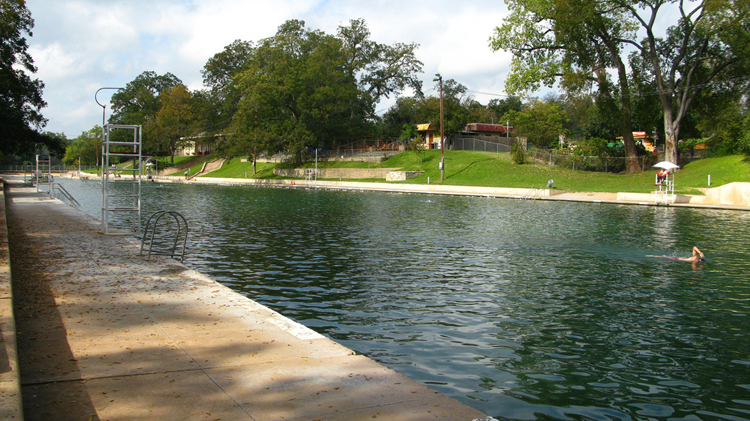 Spring-fed and clear as can be, Barton Springs Pool is a favorite swimming hole in Austin. For $3, you’ll get three acres of splash potential and a nice grassy hillside to spread out your blanket and suntan. Pro Tip: Avoid visiting during peak hours unless you’re a fish that prefers to swim in a school. 2201 Barton Springs Rd. 512-867-3080. Open daily 5 a.m. to 10 p.m., closed Thursdays 9 a.m. to 7 p.m. $5 parking. $1-3 admission per person depending on age and residency. More information. Website. 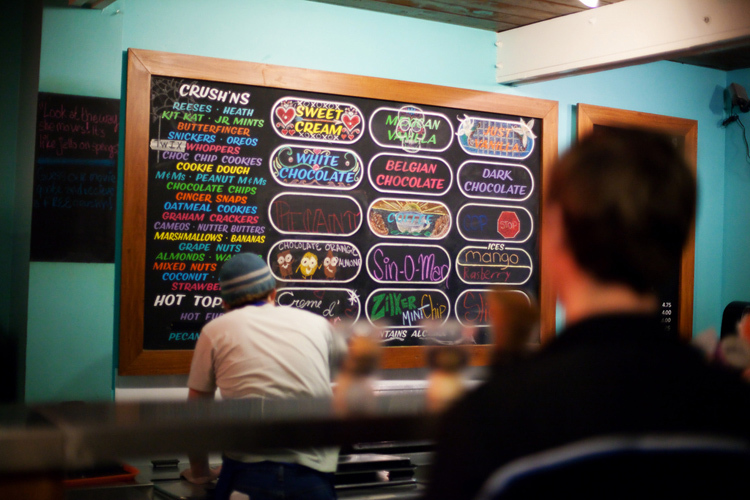 Once you’ve chowed down on a Rosedale burger at Phil’s on Burnet Road, you no doubt experience some unseen magnetic force pulling you into Amy’s Ice Creams right next door. That’s okay, because Amy’s literally serves the best ice cream in Austin. Make an adventure of your visit by trying a brand new flavor or stick to something tried-but-true like “Just Vanilla.” It’s not going to matter. It all tastes like heaven. 5624 Burnet Rd. 512-538-2697. (Alternate locations: 1012 W 6th St, 3500 Guadalupe St, 1301 S Congress Ave, 2901 S Lamar Blvd, 3100 S Congress Ave). Open Sun-Thurs 11 a.m. to 10:30 p.m. and Fri-Sat 11 a.m. to 11:30 p.m. Menu. Website. Shop for groceries, fill up on food samples, grab a delicious meal at the food court, or gawk at all of the pretty colors and perfectly organized aisles. Whatever you’re in the mood for, if it’s even generally food-related, Whole Foods probably has you covered. 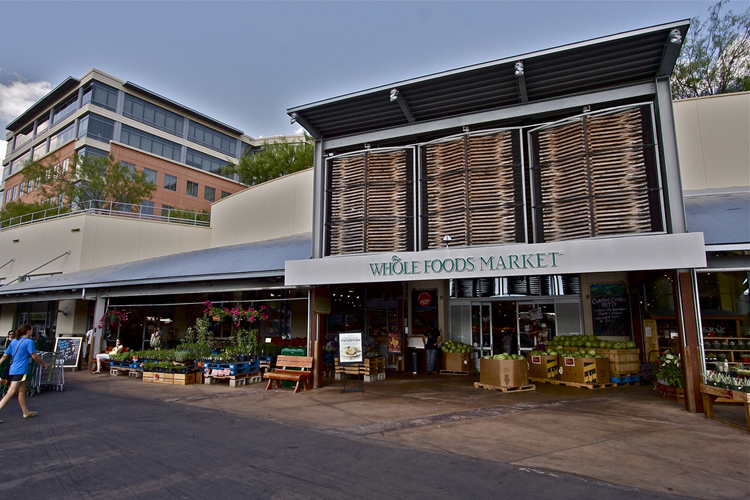 Sorry, Central Market—you’re great too, but Whole Foods was here first! 525 N Lamar Blvd. 512-542-2200. Open daily 7 a.m. to 10 p.m. Website. 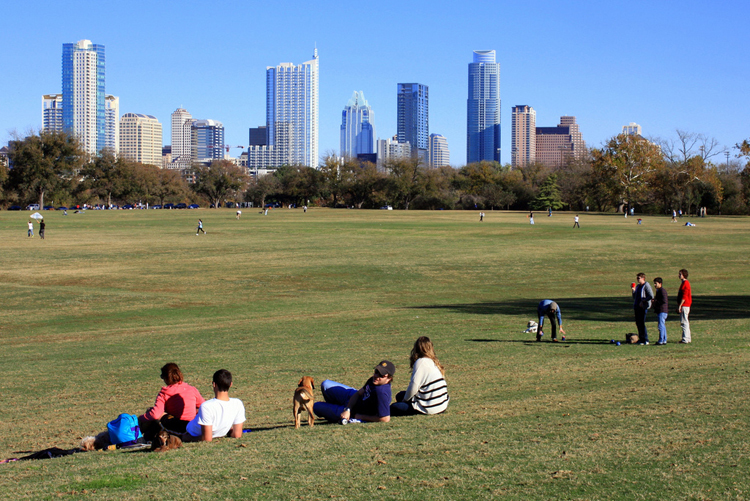 Beloved by all, Zilker Park is arguably the recreational epicenter of downtown Austin. Spanning 351 acres, the park plays host to a number of citywide events, including some pretty elaborate Christmas festivities and the massively popular ABC Kite Festival. 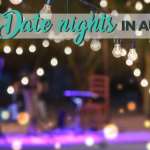 There’s a miniature train, playscape, and nature center for the kiddies, as well as a spacious off-leash dog area, a hike and bike trail, a pool, a community theatre, a sculpture garden, and a botanical garden. Need we say more? 2100 Barton Springs Rd. 512-472-4914. Free weekdays, $5 parking for holidays, weekends, and events. Website. Chances are, you’ve heard about Austin’s winged claim to fame: the 1.5 million-bat colony that roosts beneath the Ann W. Richards Congress Avenue Bridge. Hundreds of people gather each evening to watch the bats’ nightly flight, wielding umbrellas and wearing hats to shield themselves from falling grenades (think about it). This might seem strange to you, but here in the Capital of Weird, we don’t really care. 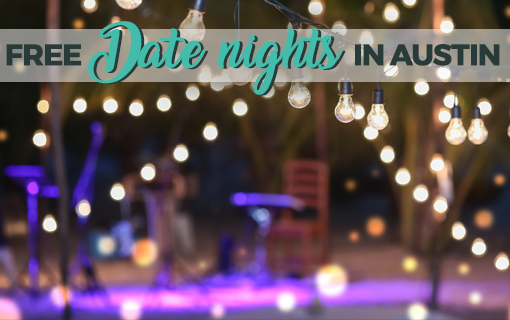 Park at the Austin American-Statesman Bat Observation Center, 305 S Congress Ave ($5). 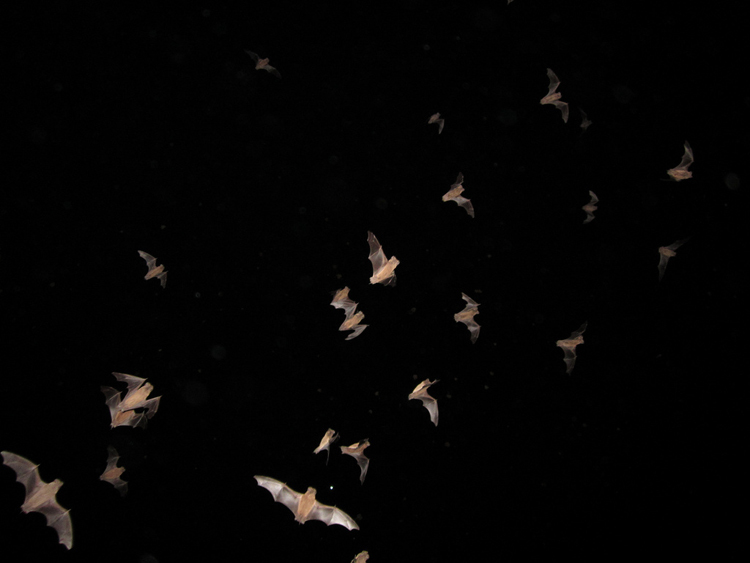 Bats start emerging anytime between 7:30 p.m. and 8:30 p.m., but arrive earlier to park and find a good vantage point. More information. 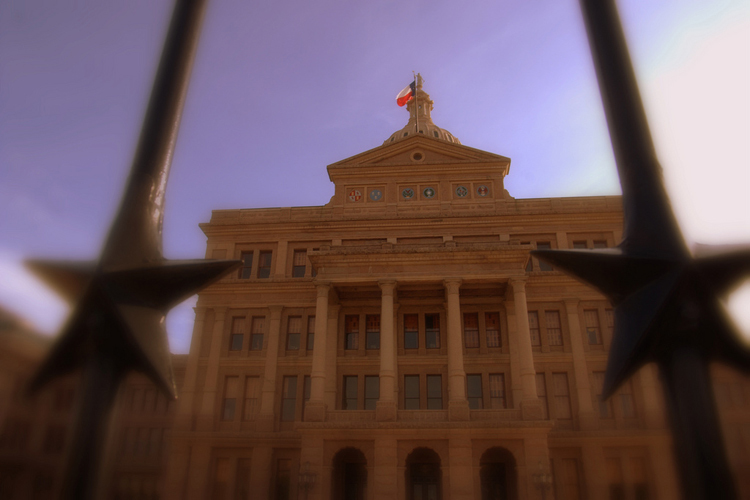 If you’re looking to get in some culture and nurture political intellect in the process, take a tour of the Texas State Capitol Building. Many visitors prefer to explore the Capitol and grounds independently using the State Preservation Board’s handy brochures, which are available online or on the first floor of the facility, but the available guided tours are also a great way to get a quick Texas history fix! 1100 Congress Ave. 512-463-0063. Open Mon-Fri 7 a.m. to 10 p.m. and Sat-Sun 9 a.m. to 8 p.m. Website. 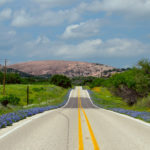 For a Texas-sized dose of history, amble on over to the Bob Bullock Texas State History Museum or the LBJ Presidential Library and Museum at the University of Texas. 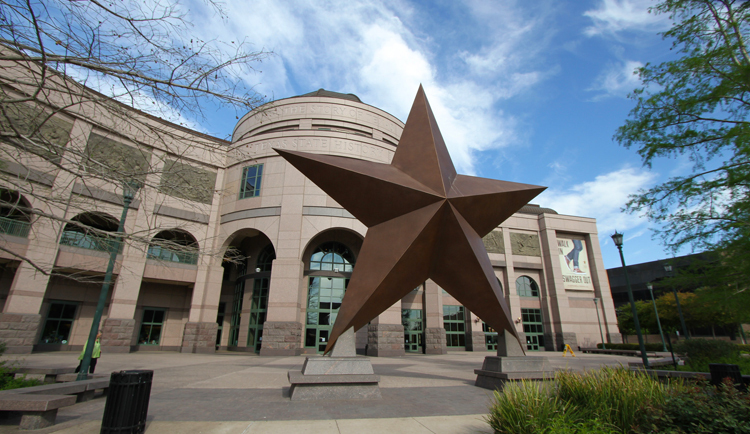 The Bullock museum prides itself on telling the “continually unfolding Story of Texas,” and features three spacious exhibit floors, as well as a live theater and IMAX theatre. The LBJ Library was named after former president Lyndon Baines Johnson (whose wife, Lady Bird, was also pretty awesome) and is most famous for its Vietnam exhibit and its replica of the Oval Office as it looked during Johnson’s term. Bullock: 1800 Congress Ave. 512-936-8746. Open Mon-Sat 9 a.m. to 6 p.m. and Sun 12 p.m. to 6 p.m. $8-12 depending on age, membership status, and other factors. Website. LBJ: 2313 Red River St. 512-721-0200. Open daily 9 a.m. to 5 p.m. $3-8 depending on age, membership status, and other factors. Website. Put on your dancing shoes and head down to the Broken Spoke on Lamar to enjoy some of the best honky tonk, two-steppin’, and chicken fried steak in Texas. This iconic Austin dance hall has been around since 1964 when a local singer/songwriter named James White took the plunge and became a business owner. Since then, the Broken Spoke has been a raging success, providing local talent with a place to sing, strum, and sway the night away. 3201 S Lamar Blvd. 512-442-6189. Open Tues-Fri 9 a.m. to midnight and Sat 9 a.m. to 2 a.m. Menu. Website. 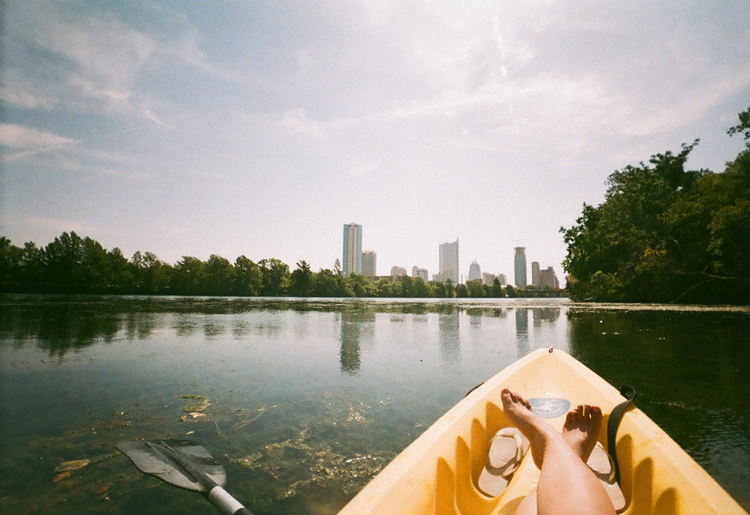 Swimming in Lady Bird Lake will get you fined, but boating is totally kosher. During Austin’s warmer months, people take to the water in canoes, kayaks, and paddle boards, looking to expand their nautical horizons and stock up on Vitamin D. If that sounds like something you’d enjoy, head over to Rowing Dock, Texas Rowing Center, or Congress Avenue Kayaks to rent your very own vessel. If seafaring isn’t really your style, you can still enjoy Lady Bird Lake on foot via its parallel hike and bike trail. Rowing Dock: 2418 Stratford Dr. 512-459-0999. Open daily 8 a.m. to 8 p.m. Website. Texas Rowing Center: 1541 W Cesar Chavez. 512-467-7799. Open daily 6 a.m. to dusk. Website. Congress Avenue Kayaks: 74 Trinity St. 512-809-8916. Open weekdays 9 a.m. to 7:30 p.m. and weekends 8:30 a.m. to 7:30 p.m. Single kayak $10, 2 person kayak $15, half-day kayak $25, paddleboard $20. Website. Farmer-fueled and totally delicious, Kerbey Lane Cafe has been making locavores’ dreams come true for thirty years and counting. Boasting a seasonal menu and a core repertoire of classic dishes, Kerbey Lane is THE place to order go if you’re craving pancakes or queso, but part of what makes this cafe so great is its variety of tasty offerings. 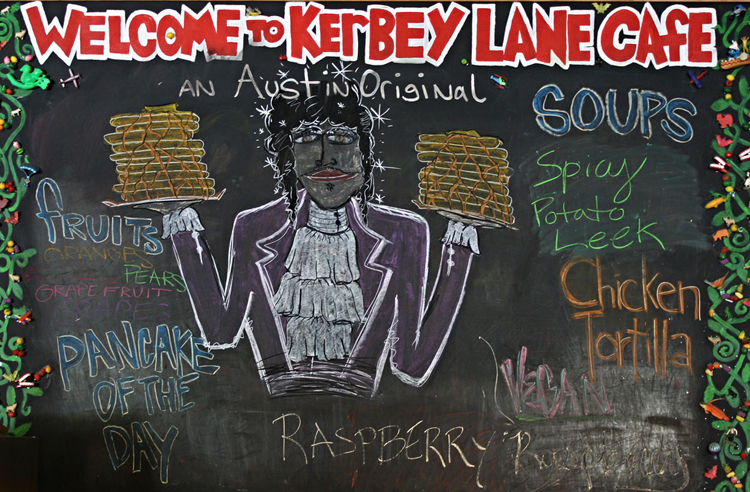 At Kerbey Lane, anything you order will be wonderful and you can generally order just about anything. 3704 Kerbey Lane. 512-451-1436. (Alternate locations: 3003 S Lamar Blvd, 2606 Guadalupe St). Open Mon-Wed 6:30 a.m. to 11 p.m. and 24 hours between Thurs 6:30 a.m. and Sun 11 p.m. Menu. Website. 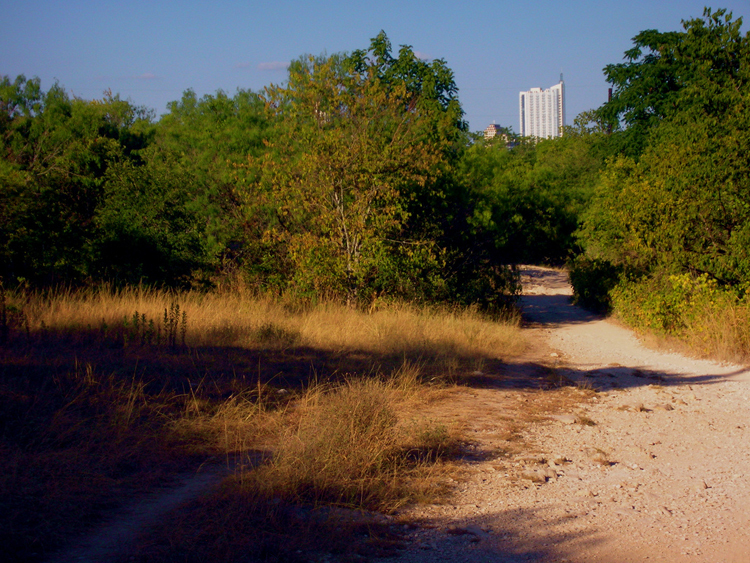 Barton Creek Greenbelt can be as urban or as natural as you want it to be, depending on how far you’re willing to walk! 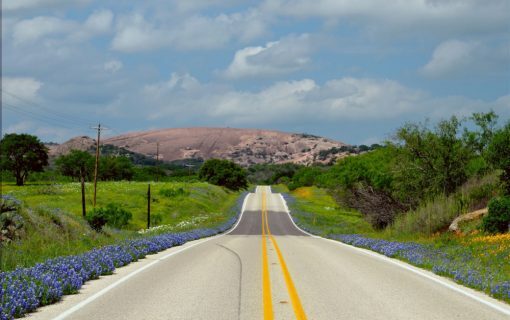 This greenbelt’s 8-mile hike and bike trail starts in Zilker Park and parallels Barton Creek south before curving off to the west under MoPac and then north alongside Highway 360. Besides offering several amazing swimming opportunities, there are also a number of rock climbing and bouldering areas along the popular trail. 3755 S Capital of Texas Hwy. 512-477-1566. Open daily 5:00 a.m. to 10 p.m. Trail map. Website. Alamo Drafthouse and Paramount Theatre are two of Austin’s most well-loved theaters, and for good reason! Not only does the Paramount look like it came straight out of Phantom of the Opera, but it has also been providing Austinites with a means to enjoy the arts in just about every context (comedy, Shakespeare, live music—you name it!) for nearly 100 years. Alamo Drafthouse is a different beast. Imagine, if you will, a bar, a restaurant, and a cinema smashed together into one entertainment venue. Now, add complimentary props, audience-wide sing-a-longs, and movie marathons. That’s Alamo Drafthouse. Alamo Drafthouse: 320 E 6th St (The Ritz). 512-861-7020. (Alternate locations: 1120 S Lamar Blvd, 2700 W Anderson Ln). Event times and prices vary. Website. Paramount Theatre: 713 Congress Ave. 512-472-5470. Event prices and times vary. Garage parking $8 for ticketholders. Website. Here in Austin, we’re obsessed with music, but we love our football too. 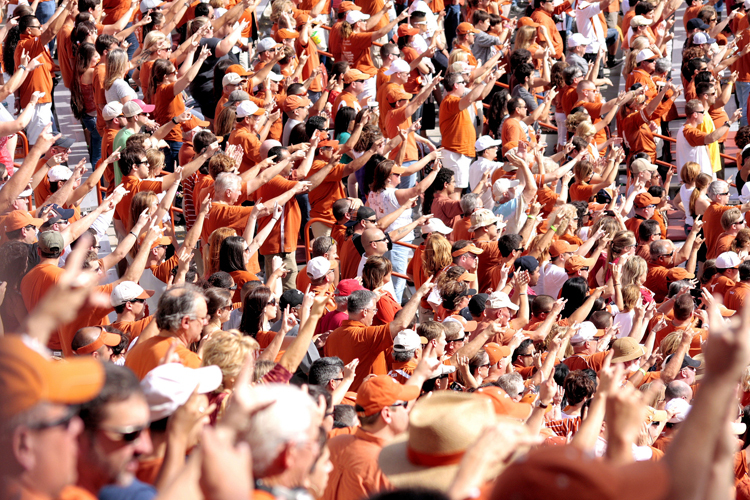 When the Longhorns have a home game at UT’s Darrell K. Royal Texas Memorial Stadium, you can forget about driving anywhere quickly in the resulting downtown gridlock. And it’s not just football—UT basketball never fails to reel in a crowd at the Frank Erwin Center. Even if you aren’t from Austin, you’re more welcome to jump into the sea of orange. 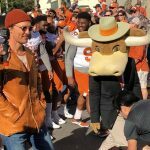 Assuming your “Hook ’em Horns” hand sign is up to snuff, that is. If sports aren’t your thing, spend some time exploring UT’s massive campus instead. Taking a tour of the university’s 307-foot observation tower, for example, will allow you a gorgeous panoramic view of ATX. Texas Memorial Stadium: 2139 San Jacinto Blvd. Tickets: 512-471-3333. Event prices and times vary. Website. UT Tower: 2303 San Jacinto Blvd (approx). 512-475-6633. $6. Website. 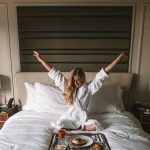 ATX has more awesome local coffee shops than you can count with all of your phalanges (toes included), but these three are most guaranteed to reignite your love for Austin and its local business-friendly culture. At Jo’s Coffee, you’ll find more than just hot coffee and good food; this classic joint serves local sodas, teas, and alcohol, in addition to sporting probably the most popular mural in the city on its north side. Thunderbird is a quirky little coffee shop on Manor Drive; known for their coffee and beer, Thunderbird is an all-around awesome place to hang out and watch the local wildlife. Buzz Mill is for lumberjacks only. Not really, but the shop is decorated like a rugged cabin and it’s open 24 hours serving homemade brews of both the coffee and bootleg variety. Jo’s Coffee: 1300 S Congress Ave. 512-444-3800. (Alternate locations: 242 West 2nd St, 3001 S Congress Ave). Open daily 7 a.m. to 9 p.m. Menu. Website. Thunderbird Coffee: 2200 Manor Dr. 512-472-9900. (Alternate location: 1401 W Koenig Ln) Open Mon-Fri 7 a.m. to 11 p.m., and Sat-Sun 8 a.m. to 11 p.m. Menu. Website. The Buzz Mill: 1505 Town Creek Dr. 512-912-9221. Open 24 hours. Menu. Website. 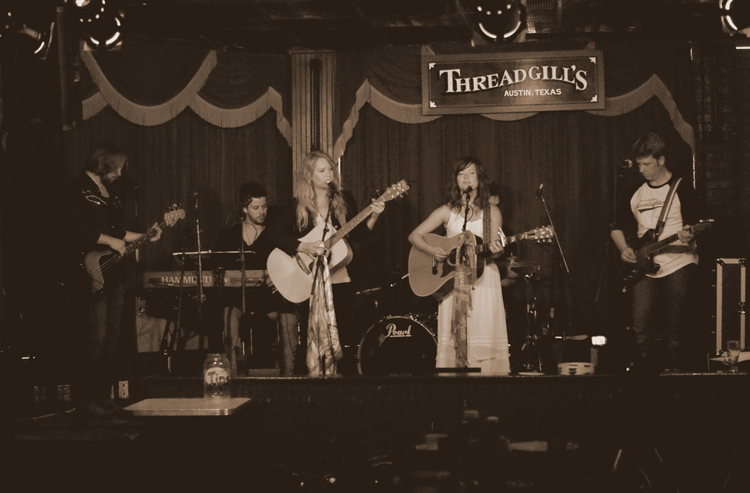 Take one look at Threadgill’s website and you’ll understand why we love the place. “In matter of music and food, we represent a time before disco or microwaves,” reads the headline quote from Threadgill’s owner, Eddie Wilson. That means Southern home cookin’, folks, and sway-worthy tunes to boot. 301 W Riverside Dr. 512-472-9304. (Alternate location: 6416 N Lamar Blvd). Open Mon-Thurs 11 a.m. to 10 p.m., Fri-Sat 11 a.m. to 10:30 p.m., and Sun 10 a.m. to 9:30 p.m. Menu. Website. 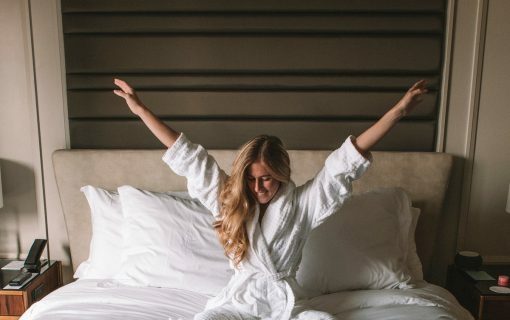 Austin has a thing for creative expression and we seriously recommend spending a day reveling in that by exploring local art galleries throughout central Austin, but why not learn a bit about classic art first? The Blanton Museum of Art is a wonderful place to cultivate an appreciation and understanding of art and its relationship to our culture and times. You’ll find paintings and sculptures from many an artistic legend at the Blanton, accompanied by a massive number of lesser known pieces and cultural works created right here in Texas. 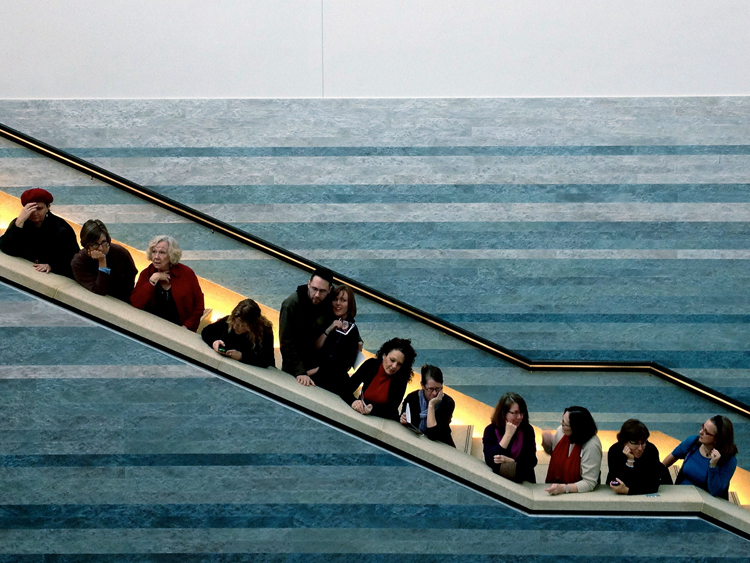 In all, the museum displays more than 17,000 works! 200 E Martin Luther King Jr Blvd. 512-471-7324. Open Tues-Sat 10 a.m. to 5 p.m., and Sun 1 p.m. to 5 p.m. Website. 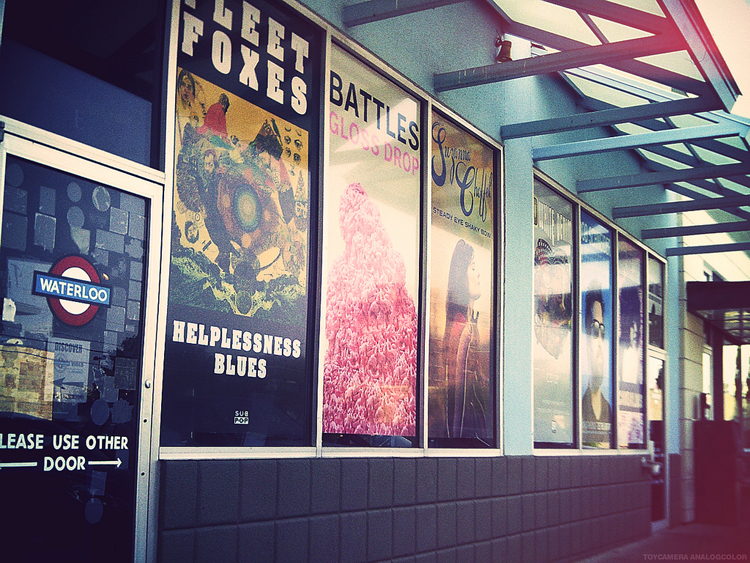 Since 1982, Waterloo Records has been serving up music to public. The main guiding principle of Waterloo’s business model goes something like this: Waterloo Records is a place for music lovers, not just music consumers. Case in point: customers can literally listen to an entire album in the store before buying it. Why? Because music. The Austin Chronicle has taken a poll about the best record store in Austin every year since 1982, and by now, we’re pretty sure we don’t need to tell you that Waterloo is always crowned. 600A N Lamar Blvd. 512-474-2500. Open Mon-Sat 10 a.m. to 11 p.m. and Sun 11 a.m. to 11 p.m. Website. Here in Austin, we like to keep things simple: we love weirdness, we love shelter dogs, and we LOVE food trailers. 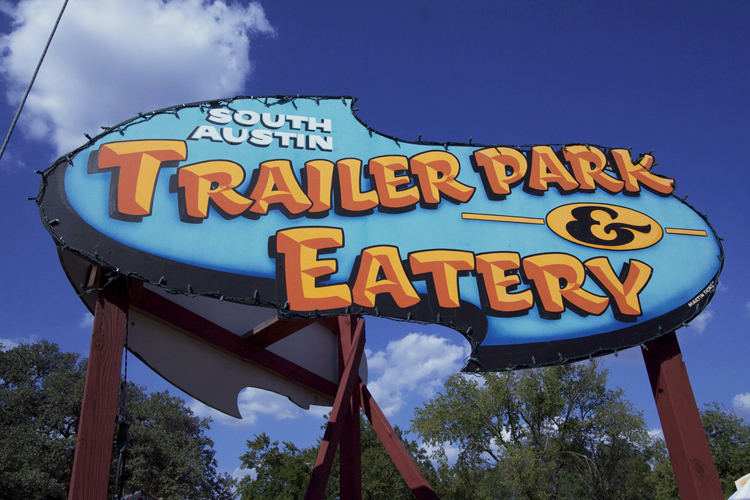 There are several large food trailer parks and a huge amount of independently-parked trailers strewn about throughout Austin’s downtown sphere, but South Austin Trailer Park & Eatery is one of the best. Not only does the park feature the usual covered picnic area, string lights, and nommy food (of course), it also boasts a sizable covered pavilion complete with ceiling fans, heather, foosball, ping pong, and a couch. Besides, Torchy’s Tacos is a regular vendor at this joint and that fact alone is reason enough to visit! 1311 S 1st St. 512-366-0537. Find other downtown food trailers here. Website. 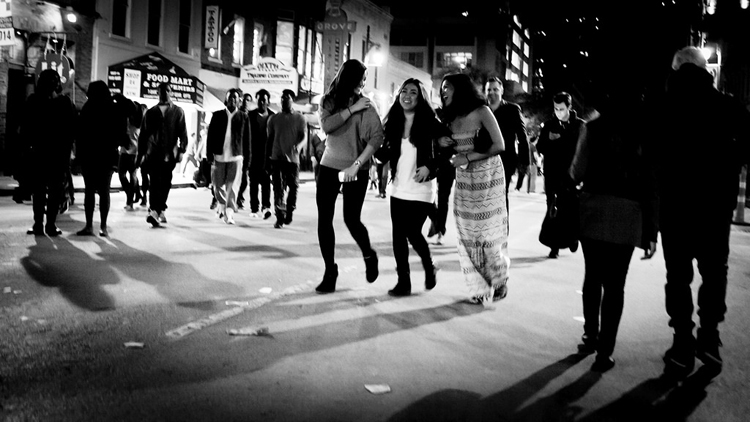 Central Austin provides arguably the best nightlife in the city, with one major thoroughfare at the center of it all: infamous 6th Street. This seven-block stretch between Congress and I-35 is often affectionately referred to as “Dirty Sixth” by locals for its extensive array of bars and clubs. 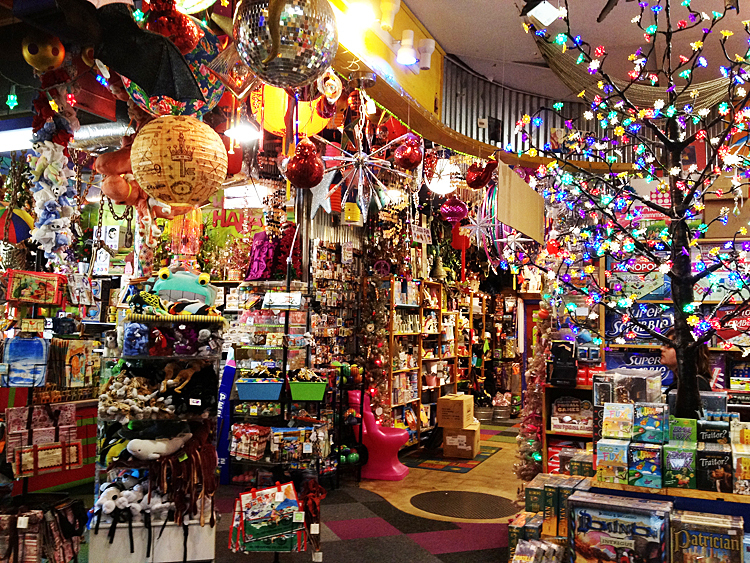 If you’re of a mind to par-tay, then Sixth Street should be your first stop. Other iconic city streets include: the Red River District (live music), the Drag/Guadalupe St (general randomness), the Warehouse District (upscale fun), and SoCo/South Congress (a little bit of everything). 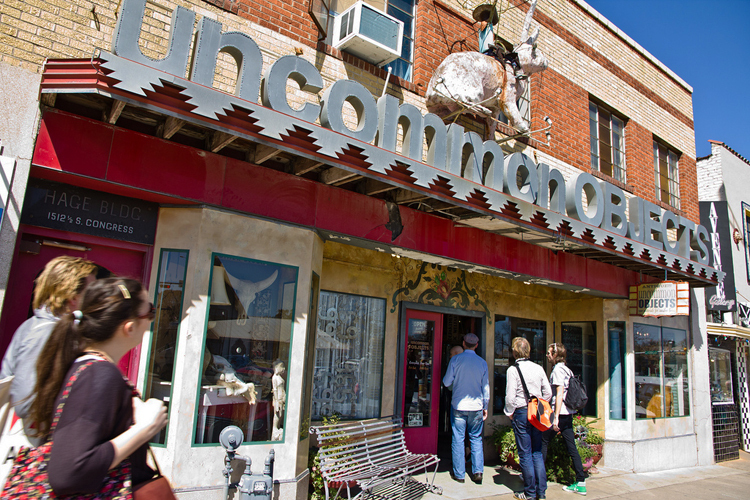 “Raw materials for creative living.” That’s the motto and selling point for this quirky little vintage shop on Congress. Uncommon Objects describes itself as a “one-of-a-kind emporium of transcendent junk,” and we think that’s a fitting description. There’s literally no telling what you’ll find inside this treasure trove. Remember, it’s really not a museum—it’s the epitome of thrifting! 1512 S Congress Ave. 512-442-4000. Open Sun-Thurs 11 a.m. to 7 p.m., and Fri-Sat 11 a.m. to 8 p.m. Website. Pinballz Aracde and Dragon’s Lair Comics & Fantasy are incredibly different, but they’re also two of the best places to nerd out in central Austin. If this virtual tour of Pinballz doesn’t blow your mind, then try this: Pinballz contains the largest number of pinball machines in Texas. 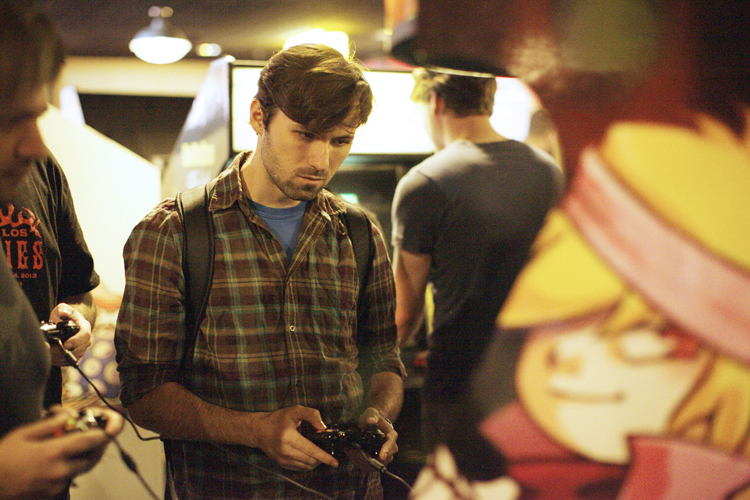 Pinballz is 13,000 square feet of air-conditioned video game wonderfulness. Oh, and did we mention that most of Pinballz’s game machines are actually for sale? Yep. Now, Dragon’s Lair is more for the RPG and board game fanatic. Besides being the biggest comic book store in ATX, Dragon’s Lair hosts frequent card and board game tournaments and provides a friendly venue for you to engage in some good old-fashioned verbal sparring over a game of Risk. Pinballz: 8940 Research Blvd. 512-420-8458. Open Mon-Thurs 12 p.m. to midnight, Fri-Sat 10 a.m. to 2 a.m., and Sun 10 a.m. to 11 p.m. Website. Dragon’s Lair: 2438 W Anderson Ln. 512-454-2399. Open daily 10 a.m. to midnight, opens Wed 9 a.m. Website. Much to the delight of local animal activists, Austin’s restaurant scene is becoming an increasingly friendly place for vegan and vegetarian patrons. 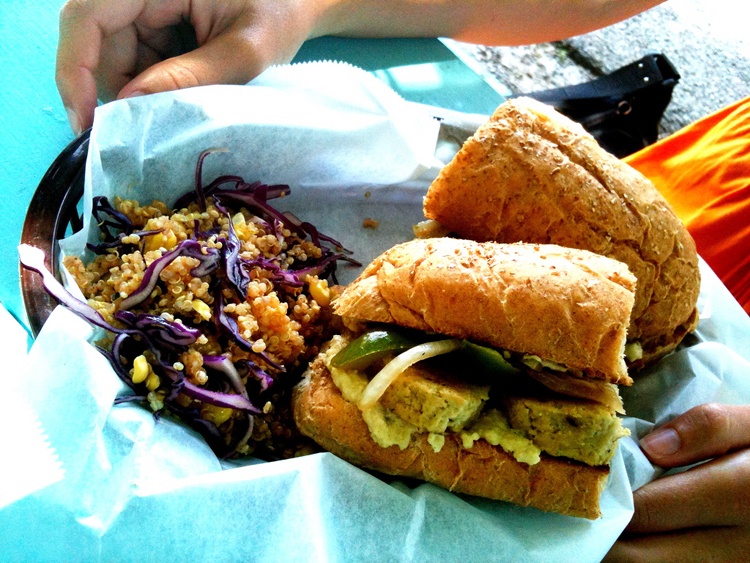 Counter Culture is a relatively new purveyor of delicious vegan-happy eats, having evolved from its humble beginnings as a food trailer, but the vegan Bueno Burger at Mother’s Cafe has been knocking Austinites’ socks off since 1980! Counter Culture: 2337 E Cesar Chavez. 512-524-1540. Open daily 11 a.m. to 10 p.m. Menu. Website. Mother’s Cafe: 4215 Duval St and E 43rd St. 512-451-3994. Open Mon-Fri 11:15 a.m. to 10 p.m. and Sat-Sun 10 a.m. to 10 p.m. Menu. Website. 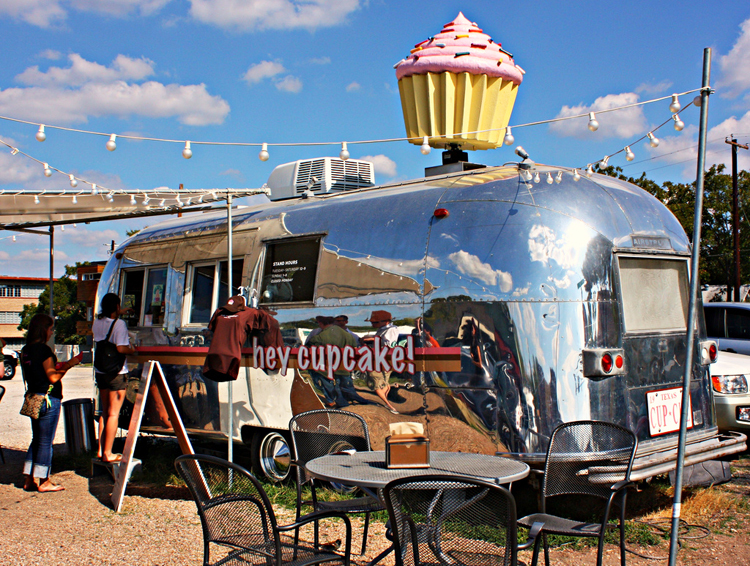 Be warned: we Austinites know how to bake a mean cupcake, and we’re also pretty darn good at donuts. If you buy something sweet from Hey Cupcake!, Gourdough’s Donuts, or Quack’s 43rd Street Bakery, be prepared to weep a little. Hey Cupcake! 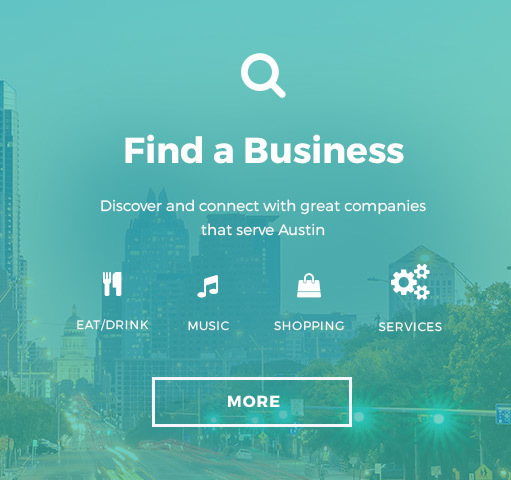 : 1511 S Congress Ave. (Alternate locations: 5530 Burnet Rd, 1720 Barton Springs Rd, 902 E Cesar Chavez). 512-476-2253. Menu. Website. Gourdough’s: 1503 S 1st St. 512-707-1050. Open Mon-Thurs 10 a.m. to midnight, Fri 10 a.m. to 3 a.m., Sat 8 a.m. to 3 a.m., and Sun 8 a.m. to midnight. Menu. Website. 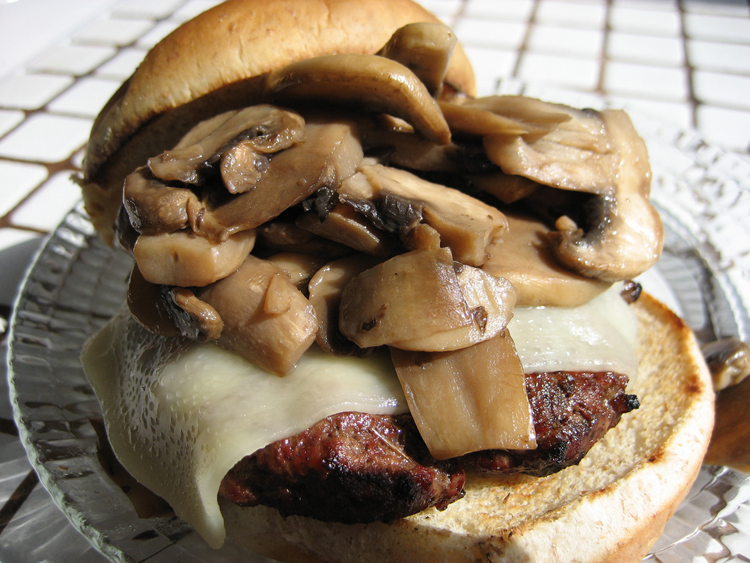 Quack’s: 411 E 43rd St. 512-453-3399. Open Mon-Fri 6:30 a.m. to 11 p.m., Sat 7 a.m. to 11 p.m. and Sun 7:30 a.m. to 11 p.m. Menu. Website. Maybe you’re trying to figure out what to do with the kids for an hour in town or maybe you ascribe to the perfectly legitimate philosophy that one never really outgrows toys. Whatever your situation, Toy Joy is guaranteed to put a smile on your face. In fact, spend just ten minutes inside and you’ll be chuckling all evening about that Nunzilla figurine or bar of Bacon Soap that you saw as you explored the shop’s treasure troves. 403 W 2nd St. 512-320-0090. Open daily 10 a.m. to 9 p.m. Website. If you pay close attention as you explore these 25 well-loved haunts in Central Austin, you might just feel the heartbeat of ATX. That would be beautiful—and also, weird. Featured image: Flickr user ms.akr, creative commons licensed.